The Days Inn - Atlantic City is conveniently located steps away from the famous Atlantic City Beach and Boardwalk. It is within walking distance of casinos - Ballys, Claridge, Caesars, Trump Plaza, Resorts, Taj Mahal, and Showboat - as well as local restaurants and area attractions. 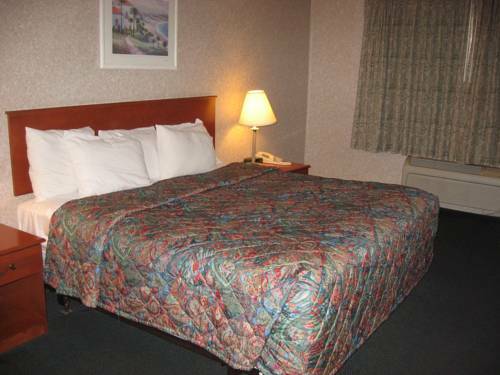 The motel is blocks away from The Walk Factory Outlet Stores and the Atlantic City Convention Center. Amenities provided by the motel are free Daybreak breakfast, daily USA Today newspaper, coffee, and internet station which are all located in the lobby. Free Parking - Motel allows only 1 vehicle per room, for additional vehicles please inquire at Front Desk. We require a valid credit card to confirm your reservation and guarantee your room. The motel will take a pre-authorization on the credit card on the day of arrival for the first nights stay in the amount of room-rate plus tax. If the pre-authorization declines, the reservation will be cancelled without notice. Please use credit cards only to reserve a room. Advanced payment is required upon check-in. The hotels cancellation policy is 24 hours prior to check-in time - 4pm - on day of arrival. Guest must show a valid photo ID. Guest Are Not Permitted To Have Visitors At Any Time. No Pets Allowed.